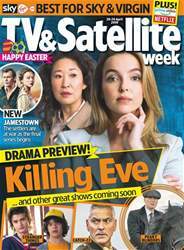 (0 Customer Reviews) | Write Review 51 issues per year TV&Satellite Week is a weekly television magazine, perfect for TV fans looking to get the most out of multichannel TV. It includes the Hotlist, a rundown of the week's highlights, an A-Z guide to the week's live sports action, the best US dramas, a Film finder and a Film guide. Plus clear, easy-to-navigate listings pages with a unique at-a-glance evening planner. ENGLAND AND WALES edition. 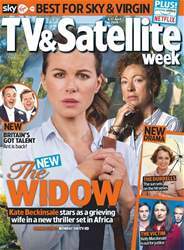 Looking for TV & Satellite Week in print? Unfortunately pocketmags.com does not sell print copies of TV & Satellite Week, but all is not lost. Our partner at magazine.co.uk sells print subscriptions at the best prices online. 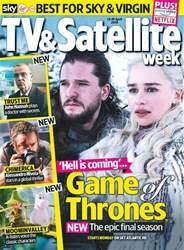 TV&Satellite Week is a weekly television magazine, perfect for TV fans looking to get the most out of multichannel TV. It includes the Hotlist, a rundown of the week's highlights, an A-Z guide to the week's live sports action, the best US dramas, a Film finder and a Film guide. Plus clear, easy-to-navigate listings pages with a unique at-a-glance evening planner. ENGLAND AND WALES edition. 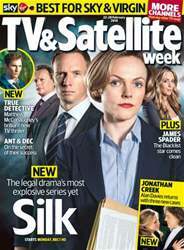 You'll receive 51 issues during a 1 year TV & Satellite Week magazine subscription. You'll receive 51 issues during a 1 year TV & Satellite Week magazine print subscription.